Ouch my aching elbow! 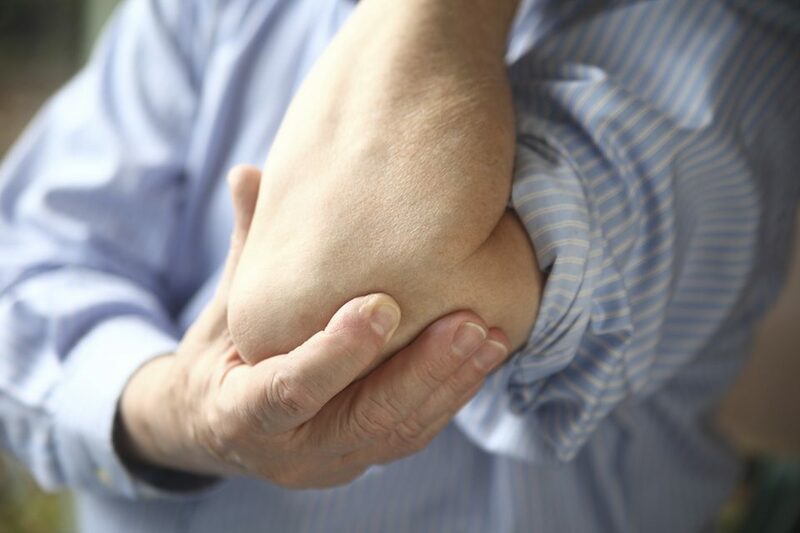 Most of us are familiar with issues related to overuse injuries of our muscles and joints. Whether you are a weekend warrior that really tries to push it when they get in the gym and pulled in their calf, or you’re at work performing the same task over and over again and now your elbow just seems to throb. We are all familiar with injuries that just nag on and on, and think it will get better on its own. Well 6 months later you are still hobbling along because that calf hasn’t healed and you are constantly rubbing your elbow to make it feel better. There is no reason to live in pain. There are many non-invasive treatments at Hampton Physical Therapy. One of the options to treat musculoskeletal injuries is the Graston Technique™. This technique involves using an instrument to perform soft tissue mobilization, and it allows the therapist to not only detect scar tissue but treat it as well. The therapist works the specialized tool along the affected area to assess for restrictions in the tissue. As this is taking place there are several physiological effects occurring at a cellular level. As pressure is applied tissue remodeling and fibroblast recruitment is taking place1,2. A fibroblast is a fiber producing cell that when it is stimulated can produce new tissue to an area to aid in healing. An inflammatory response takes place which allows for blood flow to a localized area. Mechanotransduction takes place, cells sense and respond to the force applied. The tissue responds by remodeling the tendon, muscle, cartilage or bone3. A piezoelectric phenomenon causes the soft tissue to generate an electrical signal when subjected to mechanical stresses. This occurs due to the shearing of collagen fibers past one another. Then there is the concept that soft tissue models around demand imposed on it. The problem with thinking that your injury is just going to heal on its own is that you aren’t completely wrong. Yes it will heal but it won’t heal properly causing scar tissue to build up. If there is scar tissue in the muscle the muscle is now in a shortened position and can’t function properly. The muscle fibers are no longer sliding and gliding smoothly underneath the fascia, and can cause other issues in the chain. The muscle can now have limited range of motion causing the patient pain. So if you have been walking around with a calf strain for 6 months now and all of the sudden your knee or foot starts to hurt it could be caused by altering your gait due to the initial calf injury. Now your injuries are multiplying because you never addressed the root of your issue. The Graston Technique™ could have ended all of this discomfort from the start. If you contact Hampton Physical Therapy from the time of initial injury or even now that you have several areas of discomfort you are still a great candidate for this treatment. Upon evaluation with the Graston tools the therapist can assess for any restrictions in the muscles and then treat those areas using the same tools. Following the Graston treatment the patient is then instructed in effective ways to properly stretch the affected areas to promote the blood flow that was just attained with the tools and aid in proper healing of the tissues. The patient will then perform strengthening exercises, and possibly ice and electrical stimulation if deemed appropriate for the patient. Frequently patients will ask how long it will take for positive effects to be noticed. The standard plan of care is twice a week for 4-5 weeks. The patient should notice improvements within 3 to 4 treatments. Typically patients are able to complete all of their daily activities following treatment. The Graston technique has positive outcomes in 75–90 percent of all conditions treated. It is equally effective in restoring function to acute and chronic injuries, and pre- and postsurgical patients. Now that tight calf that was stopping you from getting back to running or that elbow that is stopping you from raking your yard can be treated. You could be back to your activity in just a couple weeks. With such a high likelihood for improvement why not give physical therapy a chance. Call me at Hampton Physical Therapy at: 603-474-2259 for more information on how this therapy could help you! Or visit us online at www.HamptonPT.com. 1. Gehlsen GM, Helfst R. Fibroblast response to variation in soft tissue mobilization pressure. Medicine and Science in Sports and Exercise, 31(4): 531-535. 3. Khan KM, A Scott A. Mechanotherapy: how physical therapists’ prescription of exercise promotes tissue repair. Br J Sp Med, 43(4): 247-251.